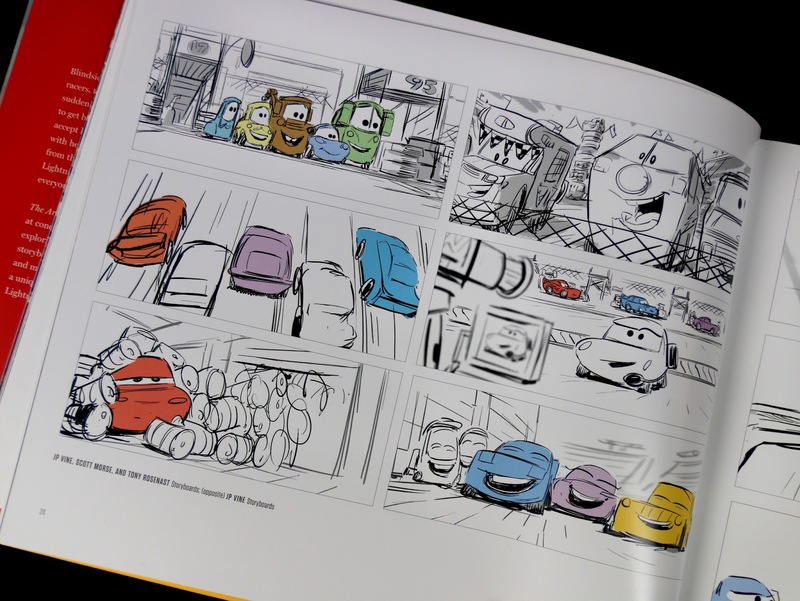 Another year, another Pixar film, another "Art of" book! I have purchased and reviewed every single one of these books from Chronicle Books publishing (they started with Monsters Inc., so I guess we're on number 15? ), so needless to say I'm a fan of the series. 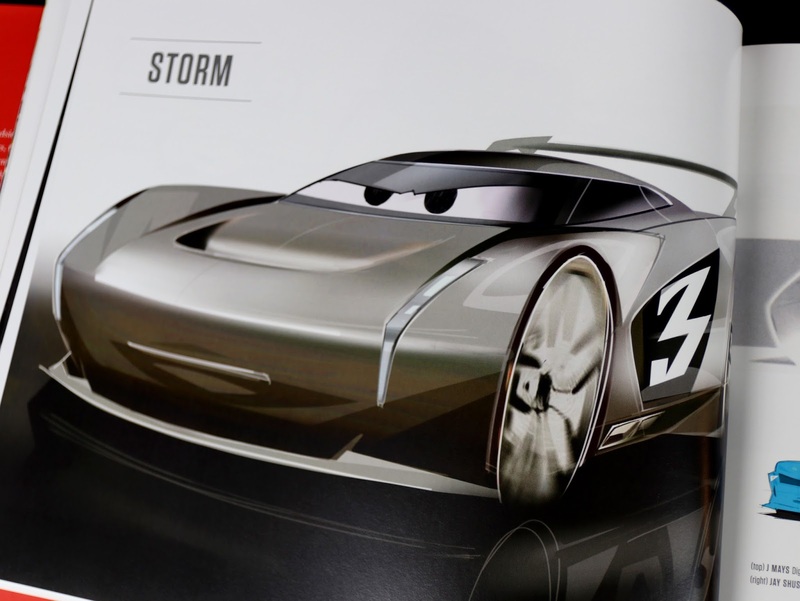 Let's take a look at what this one, The Art of Cars 3, has in store for us! 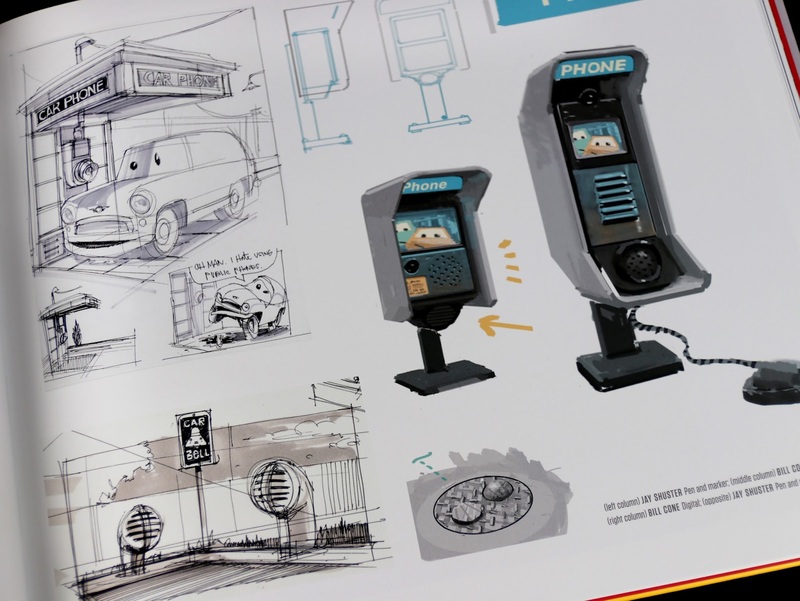 First of all, if you're not familiar with this ongoing series of "Art of" books, they're essentially the definitive source for all officially released Pixar concept art and "making of" content. This one is no exception! From early character/location designs, to color scripts, to storyboards, to deleted scenes...it's all here and more. There's even some fun Cars specific shot blocking/composition "Do's & Don'ts." Not to mention some fantastic insights from the filmmakers themselves (including an excellent foreword by John Lasseter, a personal/meaningful preface by director Brian Fee and a thoughtful introduction by production designers Bill Cone and Jay Shuster). The book closes out with some acknowledgments (special thanks) by the producer of the film, Kevin Reher. 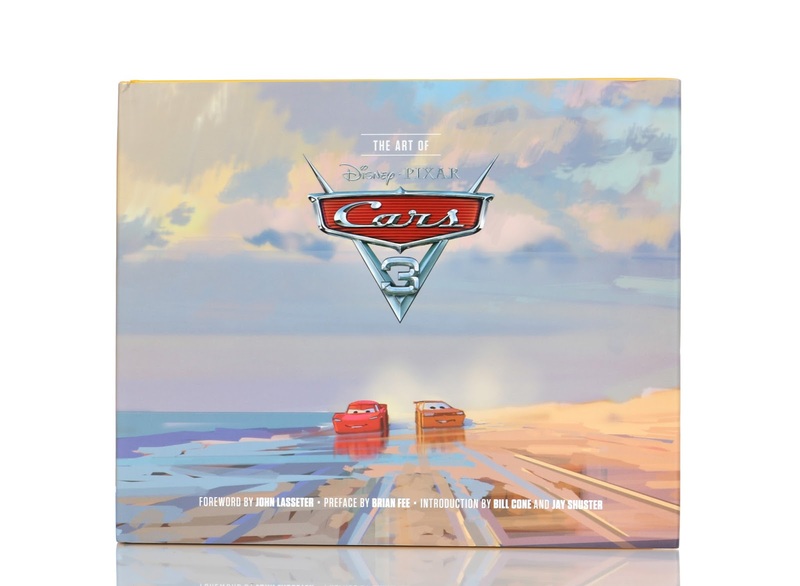 Like usual, the cover art for the sleeve and the sturdy hardcover book itself (with a nice embossed Cars 3 logo in the center) are both beautifully done. 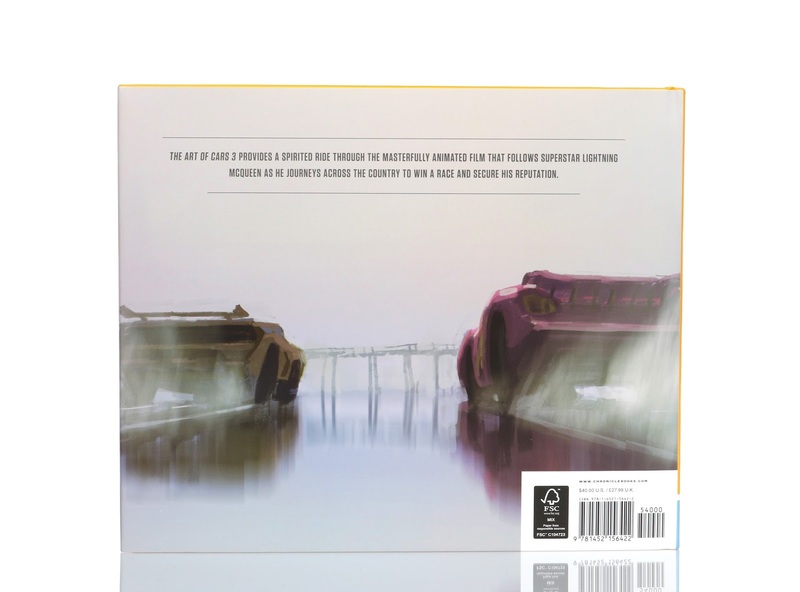 It's always exciting to see which concept art image will make it to the cover with each subsequent release. 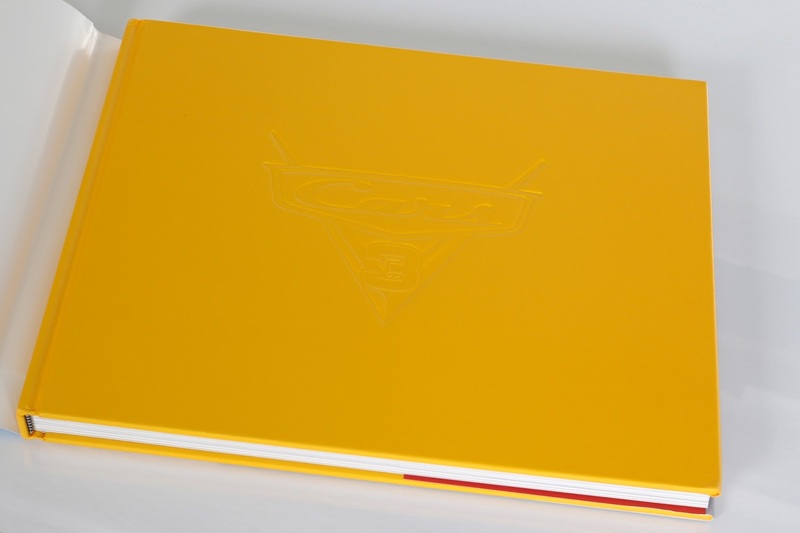 Inside the book, following the three intros, the contents are organized by the film's three acts: "Act One", "Act Two" and "Act Three" (simple as that). 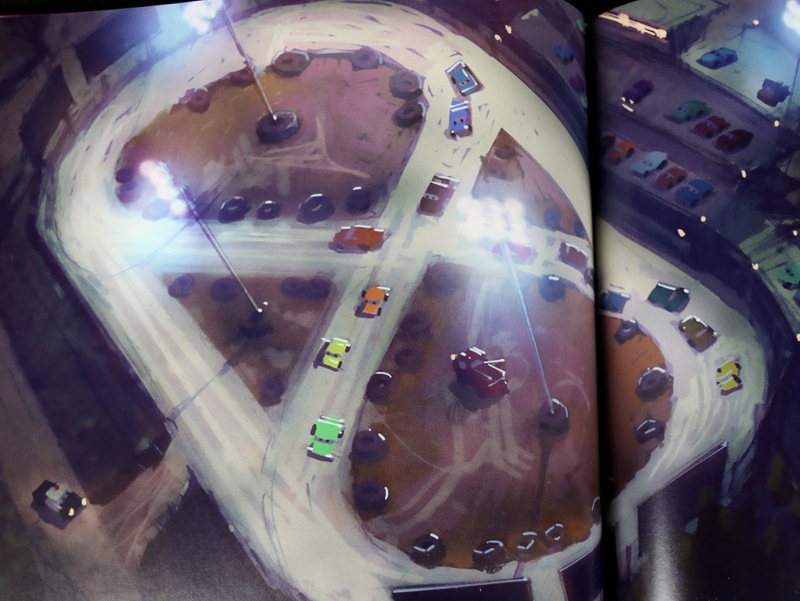 There's even a small section at the end of the book called "Outtakes" featuring some abandoned ideas/art from an earlier version of the film. I love that stuff! 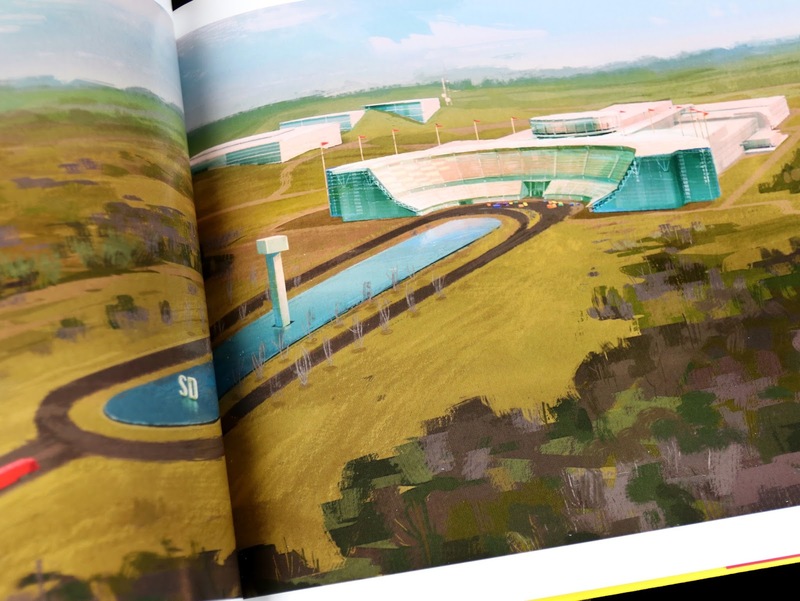 I wish the other releases would have opened up to more of the early story stuff (especially The Good Dinosaur), since we know that the film we get in the end is never what was in development at the beginning. 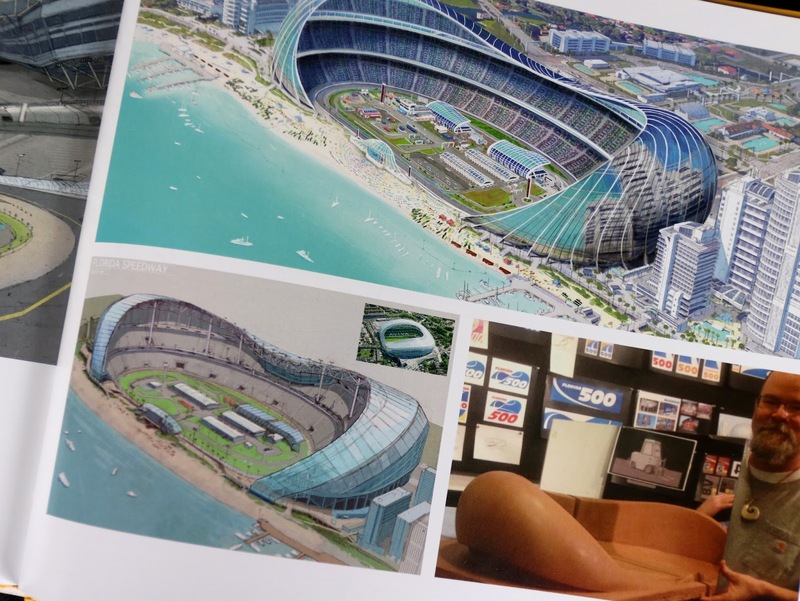 To give you an idea of what you'll find inside, here's a few of the 167 pages! Don't worry, if you haven't seen the film quite yet (what are you waiting for?! ), I don't go into any of the spoilers or story points. I really like how the page below maps out the lay of the land showing where everything in Thomasville is in relationship to each other! I used to do the exact same thing in some of my earlier, feature length films (from when I was a teenager), so I guess was on the right track with my attention to detail even back then. 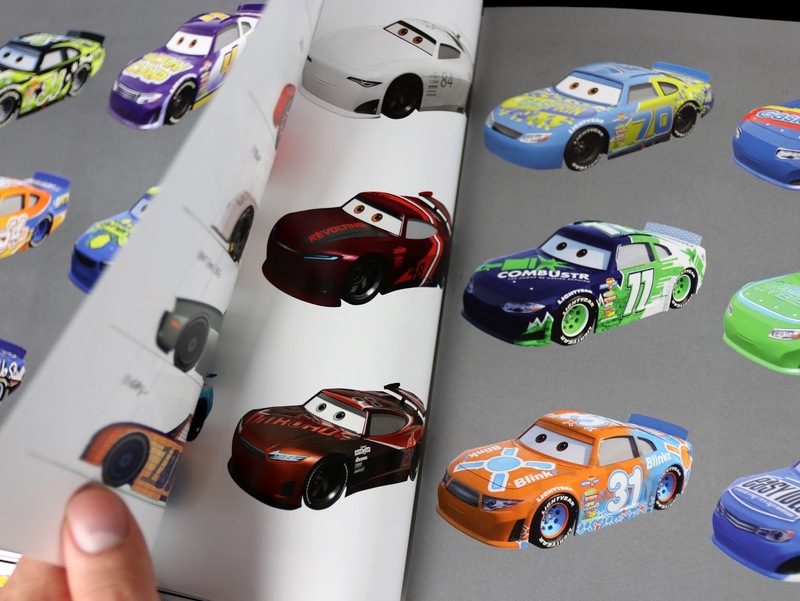 And I have to give another special note to the pages below because they're some of my favorites: unfold the top two pages to reveal the transition from the normal stock car racers to the next-gen racers! It basically opens up to one big super cool four-fold page. Well there you go—and that's just a small taste at what you can expect inside. Per usual, this is a really beautiful tribute to the incredibly talented artists who worked so hard at making the film what it is today, yet who too often go unnoticed. 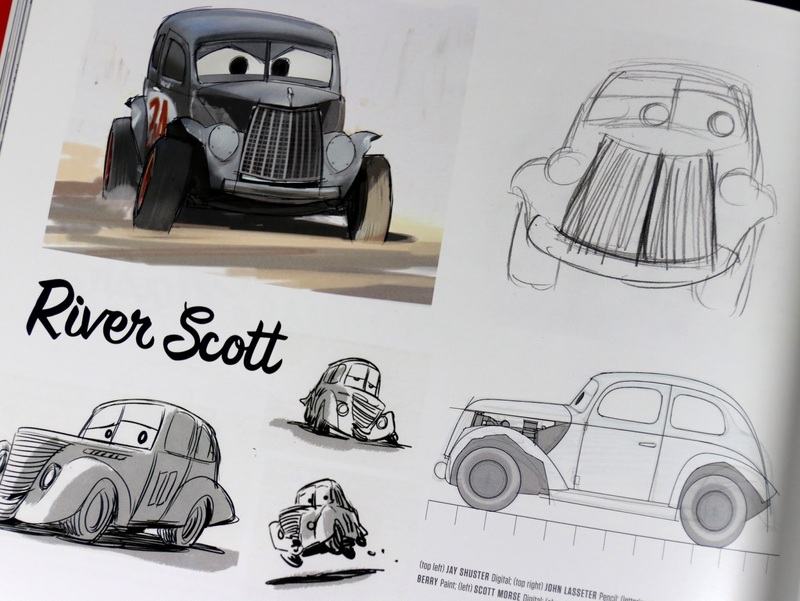 Do you have a favorite Pixar artist whose work you look forward to seeing? 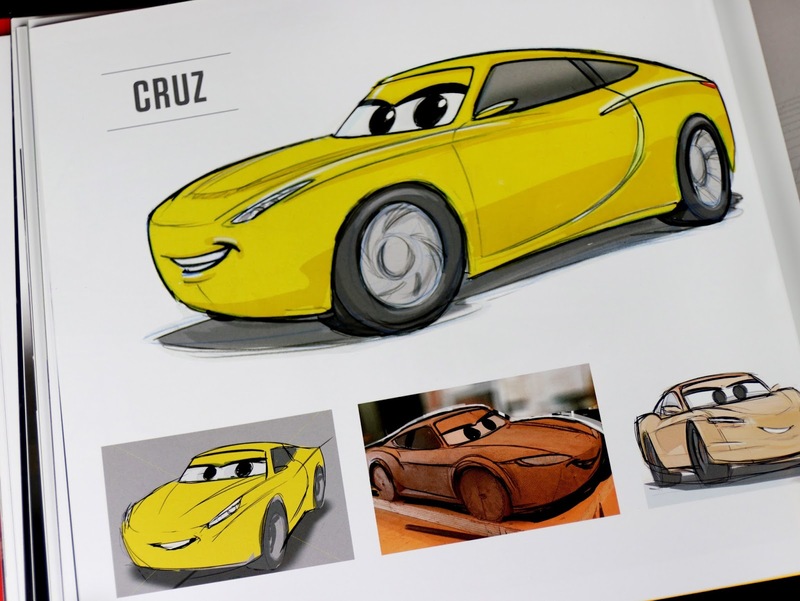 If you're a fan of Cars 3 or animation in general, you won't want to miss this one. 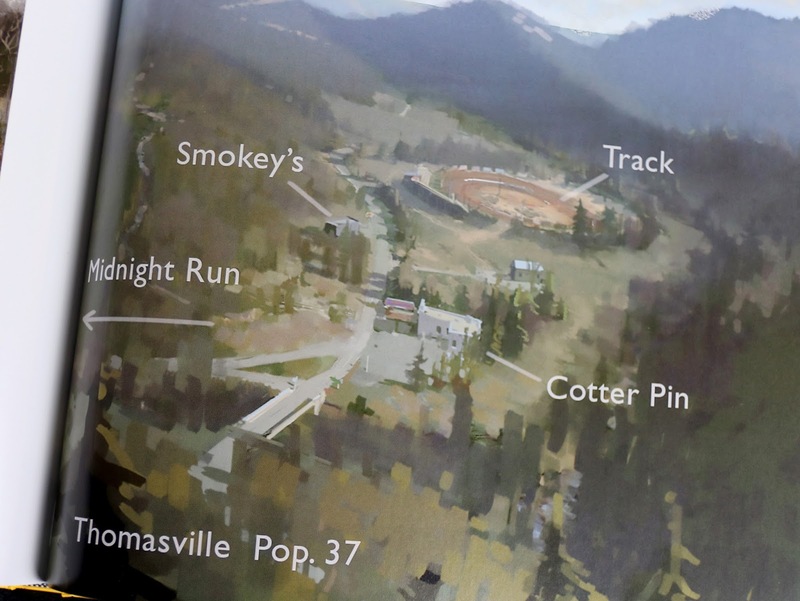 There are so many details in this book that you really could look through and study it for hours (and I have to say, they really nailed the balance between visuals and behind the scenes text this time around). If you're interested in adding this to your collection, I recommend picking it up at Barnes & Noble or on Amazon using the direct link below. Look forward to my next "Art of" book review this fall with Coco!